LUHANSK, July 14. /ITAR-TASS/. 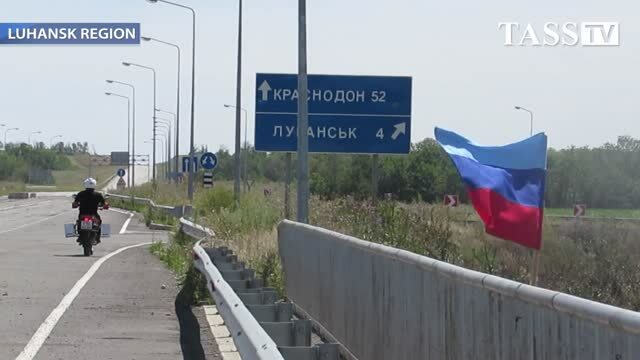 Militia of the self-proclaimed Luhansk People’s Republic rejected Ukrainian Defense Ministry’s reports that the country’s military forces “had liberated several settlements near the city of Luhansk, including the village of Roskoshnoye,” eyewitnesses said, noting that Luhansk militia units were staying in Roskoshnoye. 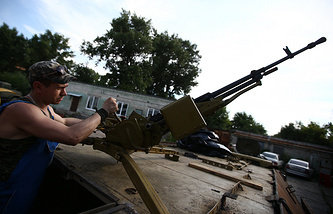 The column of Ukrainian military forces, including an armored personnel carrier and a logistic supply truck, was destroyed in the battle on the outskirts of the village of Roskoshnoye south of Luhansk on July 13. “The truck was trafficking ammunition and outfits and was blown up to pieces by a shell,” militias said. At least two Ukrainian soldiers were confirmed to be killed, but the exact number of casualties is being specified.